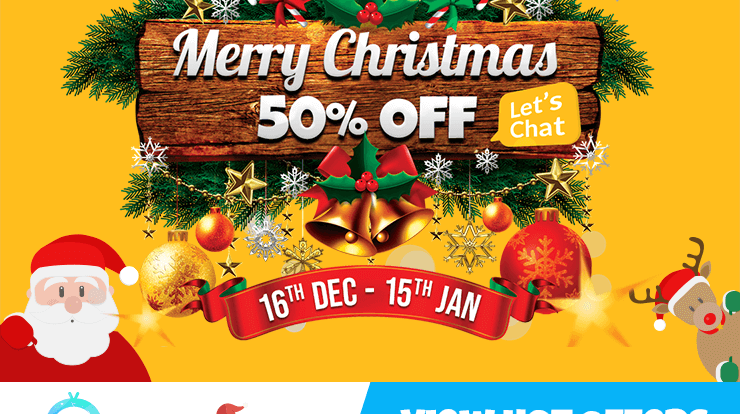 Christmas is coming and we have a great offers..Hostpoco has been offering a full range of web hosting products including shared, reseller, VPS and dedicated services. The shared hosting offers are starting from almost $6/Year. In this promotional season, the company provides exclusive discounts for the shared web hosting, wordpress hosting & reseller web hosting with which the effective price is starting at $3/Year only. A 50% discount can be applied with the help of below coupon code. Hostpoco.com gives out 24/7 support facility and our server administrators give you spot replies on chat as well as on tickets. Along with special quality support services..hostpoco offers quality web hosting services based on unlimited features for space and bandwidth. Our hosting cpanel is configured perfectly with balance features for all requirements, these awesome featured services are available at cheaper prices and any one can afford. This promo is only available for a limited time.